In this masterful and memorable double-billing, two-time Tony Award winner Brian Dennehy stars in Eugene O’Neill’s Hughie and Samuel Beckett’s Krapp’s Last Tape. Reprising roles that have garnered critical and popular acclaim, Dennehy brings searing humanity and his extraordinary dramatic skill to this powerful production in our intimate Audrey Skirball Kenis Theater. When high-rolling gambler and small-time hustler Erie Smith loses his confidant Hughie, his life takes a turn for the worse. In his grief, Erie befriends a new hotel night clerk and sees a chance for a winning streak. Preparing for his birthday ritual, Krapp stumbles upon a recording of a tender memory from a lifetime ago. As he immerses himself in his own personal history, Krapp questions whether his present lives up to his past. Review: Recommended! "Dennehy's rendering is the work of a crackerjack craftsman, in a performance that runs the gamut from outrageous to poignant." Samuel Beckett (1906-1989) is widely recognized as one of the greatest dramatists of the twentieth century. He was awarded the Nobel Prize for Literature in 1969. Mr. Beckett is most renowned for his play Waiting for Godot, which launched his career in theater. He then went on to write numerous successful full-length plays, including Endgame in 1957, Krapp’s Last Tape in 1958 and Happy Days in 1960. Mr. Beckett received his first commission for radio from the BBC in 1956 for All That Fall. This was followed by a further five plays for radio including Embers, Words and Music and Cascando. Like no other dramatist before him, Mr. Beckett’s works capture the pathos and ironies of modern life yet still maintain his faith in man’s capacity for compassion and survival no matter how absurd his environment may have become. 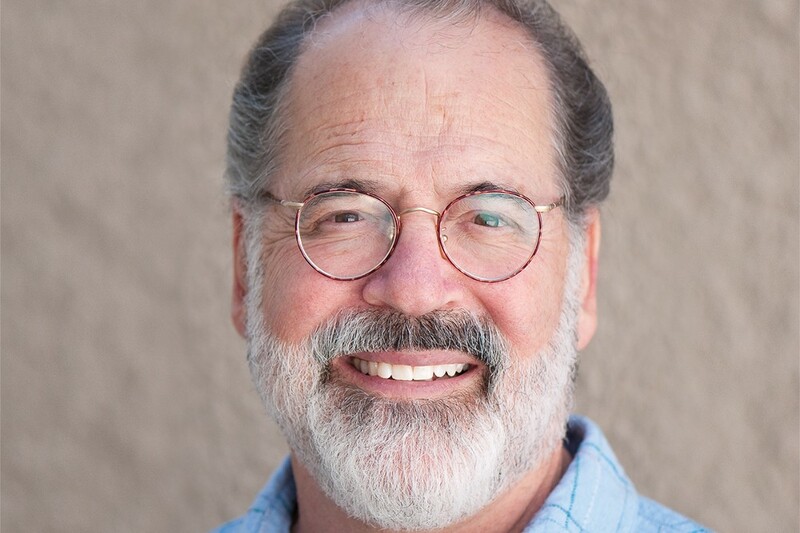 Steven Robman directed last season’s Geffen Playhouse production of Glen Berger’s Underneath the Lintel. Other recent work in Los Angeles includes stagings of Eugene O’Neill’s Ah, Wilderness! 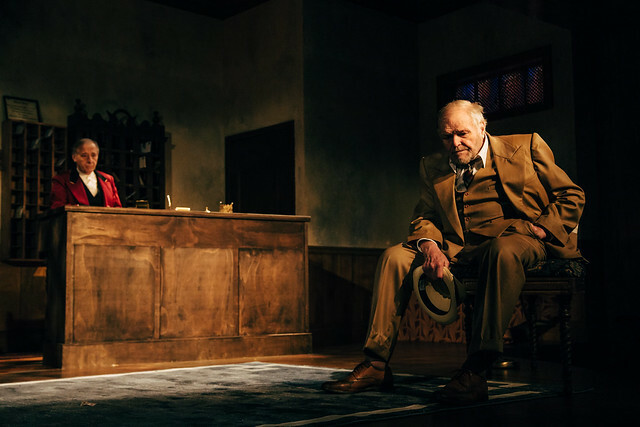 at A Noise Within, Henrik Ibsen’s Hedda Gabler at Antaeus Theatre Company, Sebastian Barry’s The Steward of Christendom at the Mark Taper Forum, Bernard Weinraub’s Above the Fold at Pasadena Playhouse and Kathryn Graf’s The Snake Can at Odyssey Theatre. Other work at the Taper includes Babbitt, Hoagy, Bix and Wolfgang Beethoven Bunkhaus and Made in America. Off-Broadway, he directed premieres of Wendy Wasserstein’s Uncommon Women and Others and Isn’t It Romantic, as well as Ron Hutchinson’s Says I Says He and John Lithgow’s Kaufman at Large at the Phoenix Theatre, Alan Knee’s Santa Anita ’42 and Mr. Knee’s adaptation of The Minister’s Black Veil at Playwrights Horizons, and the New York premiere of Gardner McKay’s Sea Marks at Manhattan Theatre Club. His work in other cities includes the premieres of The Gin Game at Actors Theatre of Louisville and Moonlight and Magnolias and High Holidays at Chicago’s Goodman Theatre, as well as productions of Rat in the Skull at Wisdom Bridge Theatre, Bonjour, La, Bonjour and Right of Way at the Guthrie Theater, Born Yesterday at Baltimore Center Stage, Bosoms and Neglect and Union Boys at Yale Repertory Theatre, and Alphabetical Order, The Rose Tattoo, and The Bathers at Long Wharf Theatre. There will not be Talk Back Tuesday post-show Q+A for this production. 2 hours, including one 15 minute intermission. Background Photo: Joe Grifasi and Brian Dennehy in "Hughie". Photo by Jeff Lorch Photography.